Arrested For DWI When Not Driving? 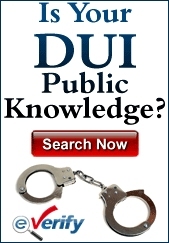 You are here: Home / NJ Law / Arrested For DWI When Not Driving? In New Jersey, when a person is caught driving while intoxicated, they should be aware of the penalties they will face for the act. Even if they don’t believe they were drunk when they got behind the wheel of the motor vehicle and plan to fight the charges as hard as they can, they understand the math: drink and drive, get arrested and charged with the traffic offense, face the penalties in the event of conviction. However, many drivers are unaware that they can also be charged with DWI when they’re not driving their vehicle at all. If they are sitting or sleeping a vehicle while intoxicated, it is possible to be arrested for DWI and still face charges for the act even if there was no witness to the driver actually operating the car. It might confuse a driver who has been arrested for DWI to learn that law enforcement can find a driver in his or her vehicle sleeping, gauge the situation and decide that there is reasonable cause to believe that a DWI had occurred and make the arrest. To be specific, DWI is not limited to “driving drunk.” It is more aptly described as “operating a motor vehicle while drunk.” What that means is if there is a belief that the driver has, at some point, driven the vehicle while under the influence, then an arrest can be made. There is no specific definition as to what “operating” a motor vehicle means. That gives the officer a wide amount of leeway to determine whether or not the driver was operating the vehicle while drunk even if there were no witnesses to see it. Logic will play a major part in the decision on the part of the officer to make an arrest for DWI if the driver was simply sleeping in the vehicle. There are times when a driver will simply pull over the side of the road when tired or on a long trip and catch a quick nap. If they have not been drinking, then there’s nothing wrong with this and there won’t be an arrest. A driver who pulls the vehicle over to the side of the road and is investigated by the police will likely have a problem if there is evidence of drunkenness. While police officers are required to have just cause to stop a vehicle on suspicion of DWI, this won’t apply if there is a vehicle on the shoulder of the highway idling and there is a person sitting in it. Upon investigation, if the officer sees the driver has glassy eyes, smells of alcohol and his slurring his or her words, then this is evidence of being drunk. With the vehicle on the side of a highway and the engine running, it’s a reasonable assumption that the driver had driven it at some point to get it there. This is sufficient for a driver to be charged with DWI. Being charged with DWI will result in the same penalties in the event of a conviction no matter the circumstances. Therefore, it won’t matter that the driver was sleeping in the vehicle and not actually seen driving it. But the charge of DWI if the driver was sleeping in the vehicle also opens the door for several different forms of defense. These could be more effective than the defenses that attorneys will use when handling a DWI case in which the driver was caught while driving and not simply sleeping in the vehicle while drunk. When a driver is charged with DWI – no matter the circumstances – the penalties will be the same and depend on the number of times they were caught driving drunk. 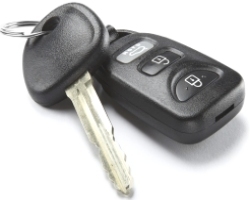 A driver who is 21 or over and registers a blood alcohol content of 0.08% will be arrested for DWI. If the driver is under 21, the BAC limit is 0.01%. A commercial driver’s limit is 0.04%. The penalties depend on the situation. A driver who is facing a first offense DWI will be confronted with a driver’s license suspension of three months. There will be a fine of between $250 and $400. An annual surcharge of $1,000 per year for three years will have to be paid. There will be a payment to the Intoxicated Driver Resource Center (IDRC) of $230. There will be a $75 fee to the Neighborhood Services Fund and $100 each to the Alcohol Education and Rehabilitation Fund (AERF) and the drunk driving fund. There can be 30 days in jail. With subsequent arrests and charges, the penalties will increase with longer suspensions plus the possibility of having to have an ignition interlock device on the driver’s vehicle for the duration of the suspension and a period of time after driving privileges have been restored. If this is your third dwi convication you can lose your license for 10 years and spend 6 months in jail. Sleeping in your car while drunk can be very dangerous especially is the police officer is having a bad day. Be careful. Drivers might believe that they are exhibiting some form of responsibility when they decide to “sleep it off” in their car after a night of drinking. If they are sitting in the parking lot of a bar and doing this, there might be a viable defense for the attorney to use in saying that the driver wasn’t driving drunk because the car was sitting in the bar parking lot. In other instances, such as if the driver is on the shoulder of the highway, it can be harder to come up with a defense. As always, if a driver believes he or she has had too much to drink the best alternative is to take a taxi home or call a friend. Being caught sleeping in the vehicle after drinking can lead to the same problems even if they didn’t drive. New Jersey is different from New York, Pennsylvania and all the other states. We have our own laws regarding drunk driving. The local police must follow specific rules & guidelines when they stop you and conduct DWI tests. Find out more about the NJ laws that control what evidence will be allowed, what penalties you can face and what possible defense options that are available to you.